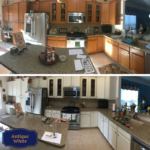 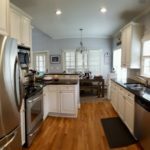 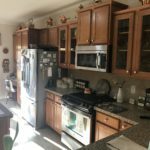 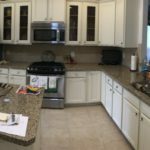 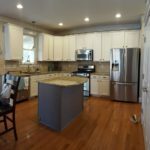 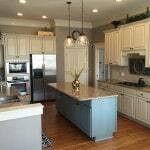 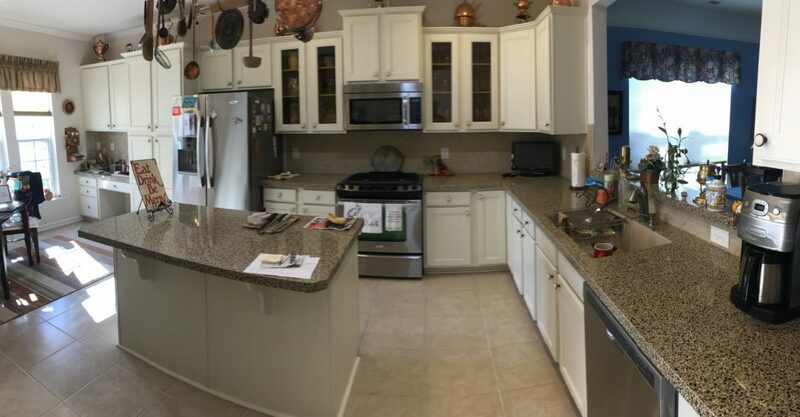 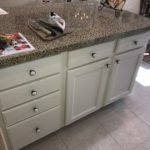 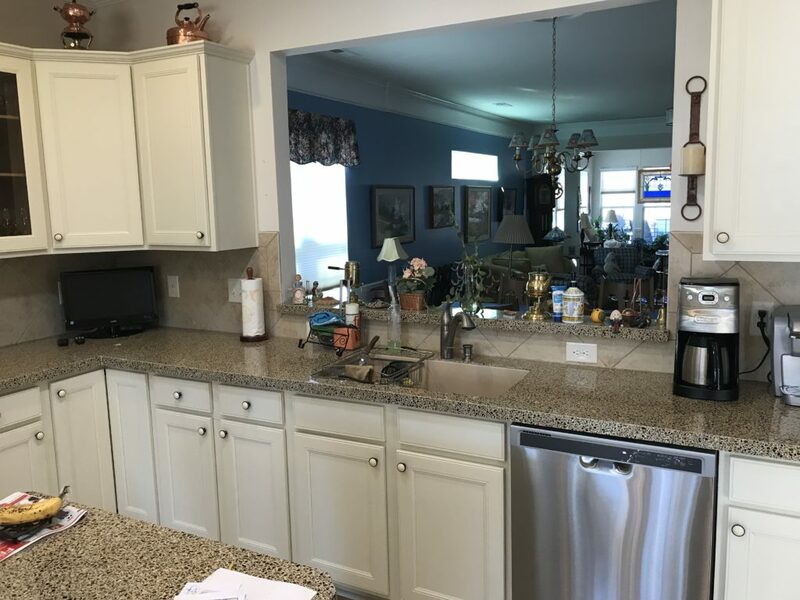 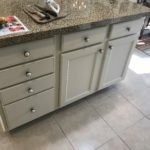 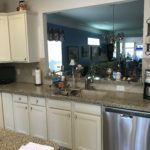 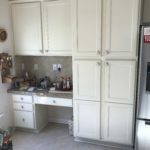 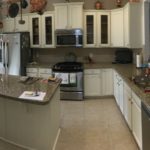 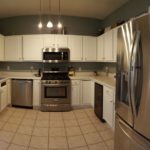 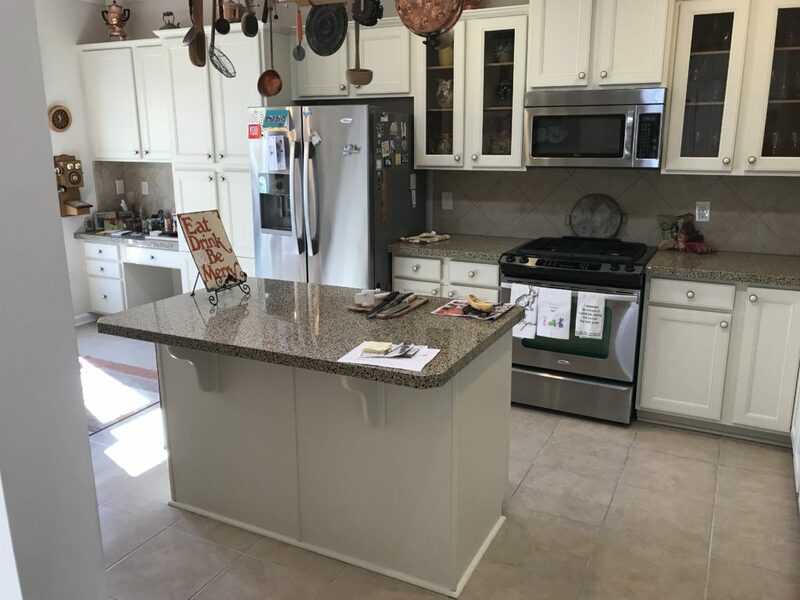 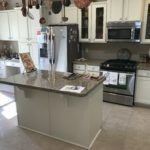 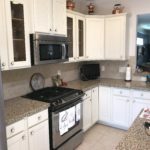 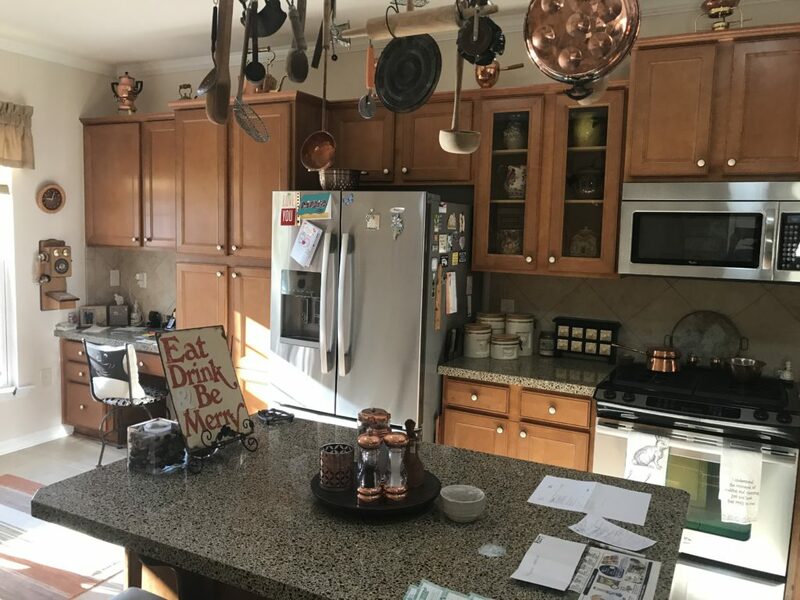 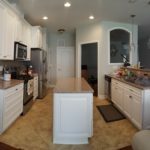 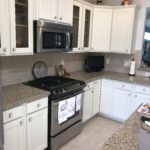 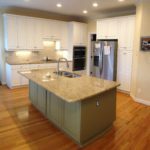 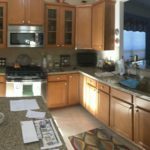 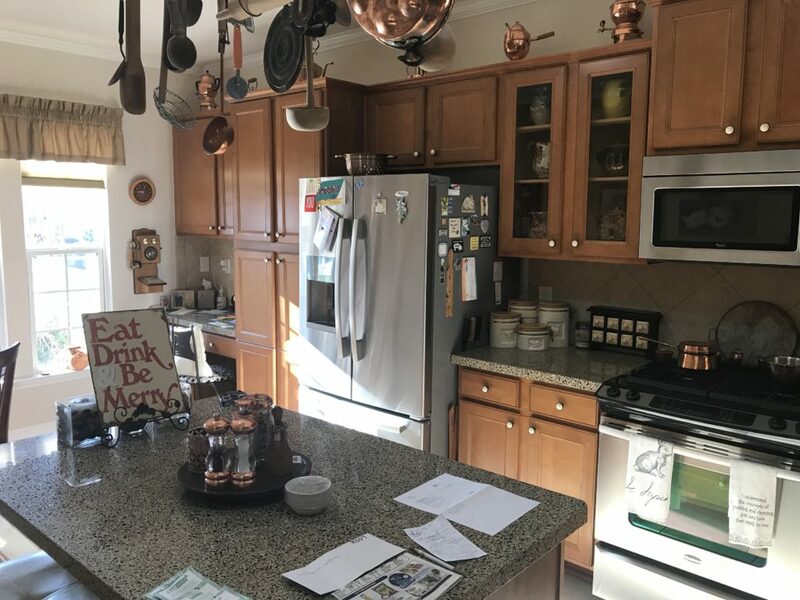 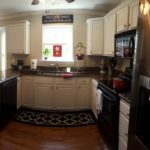 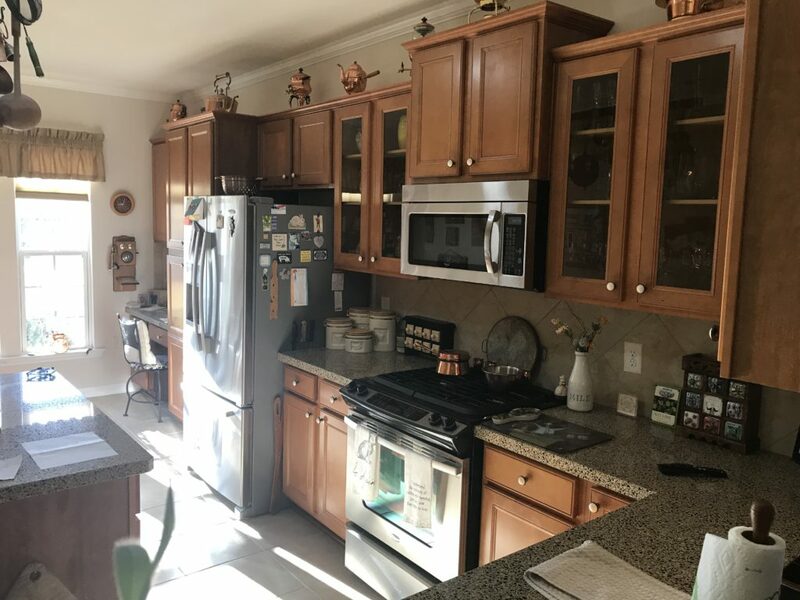 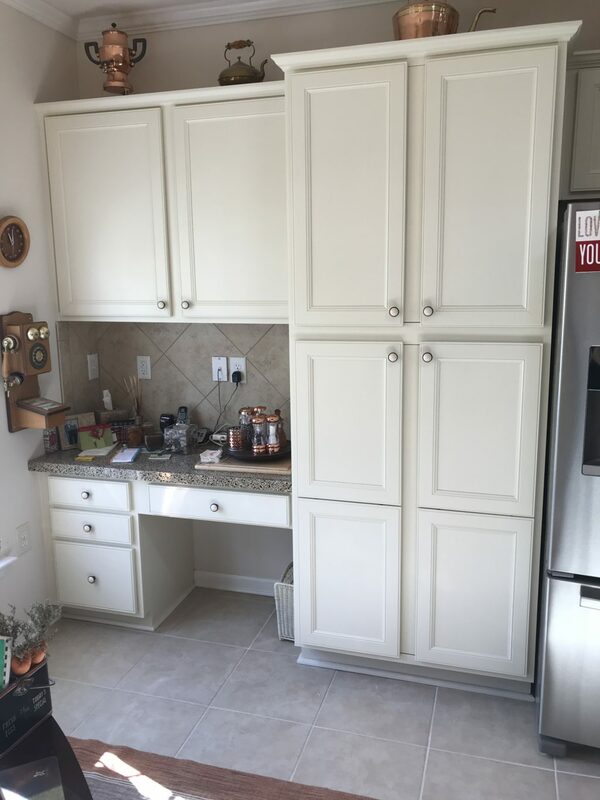 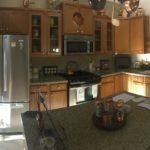 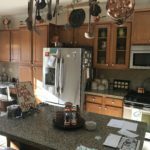 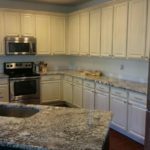 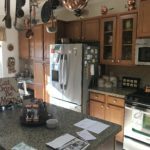 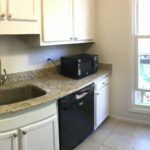 The task in this kitchen….was to match the color of the homeowners kitchen canisters that she loved. 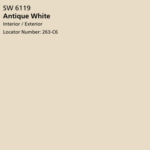 Sherwin Williams-Antique White was right on target. 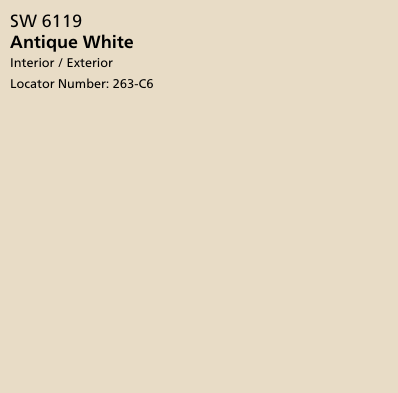 It’s a warm white with no yellowy undertones. 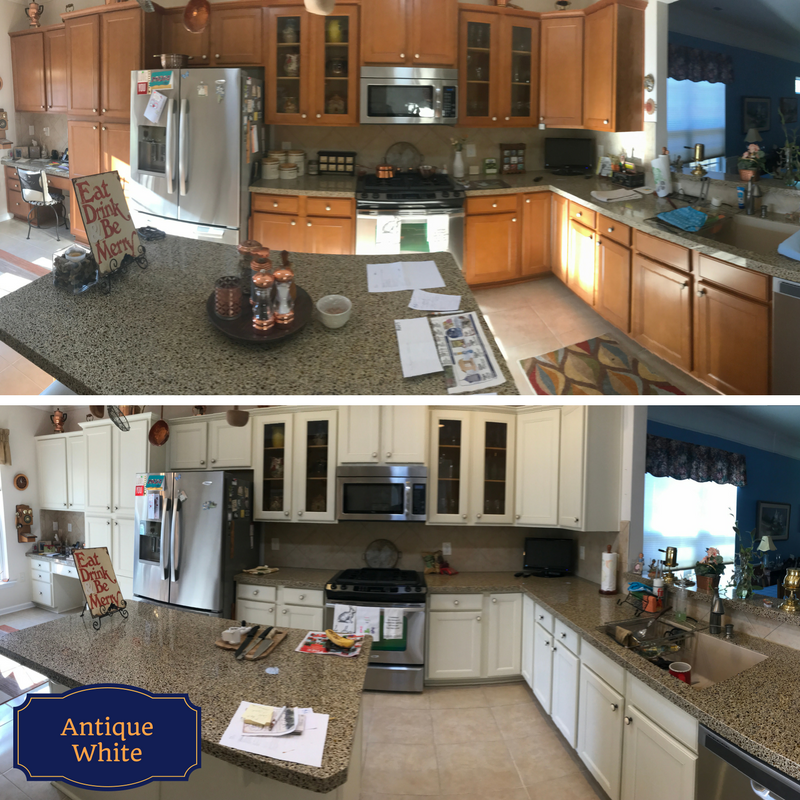 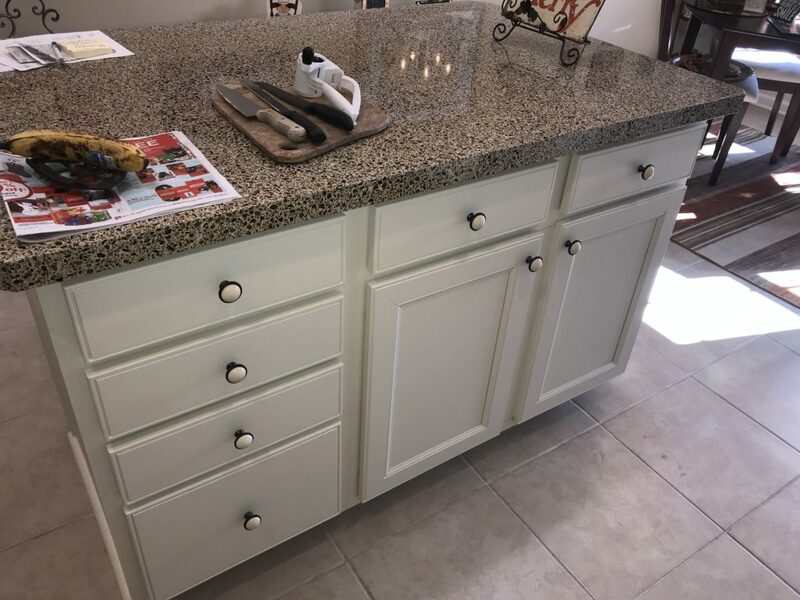 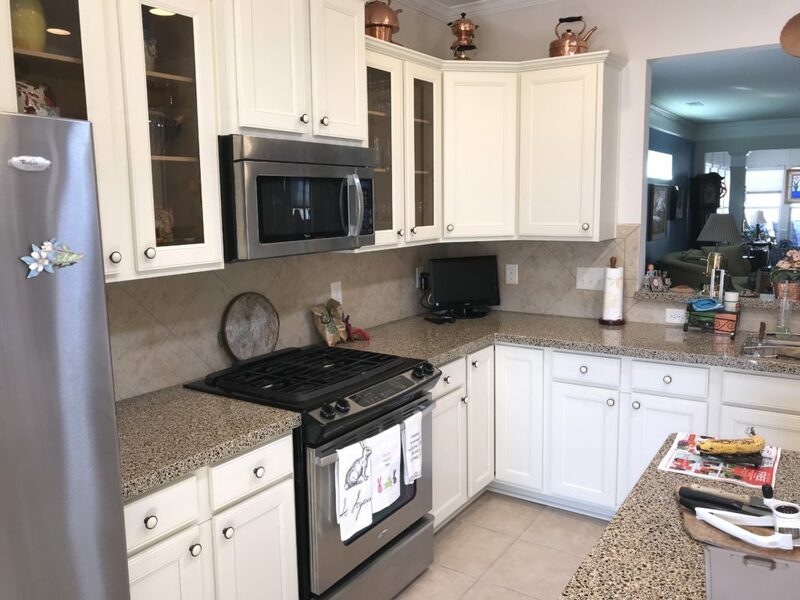 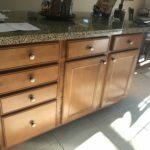 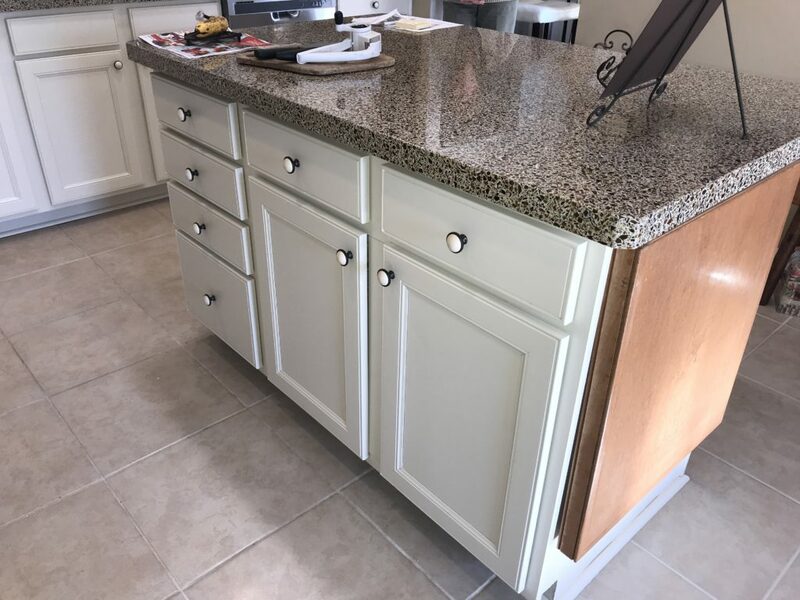 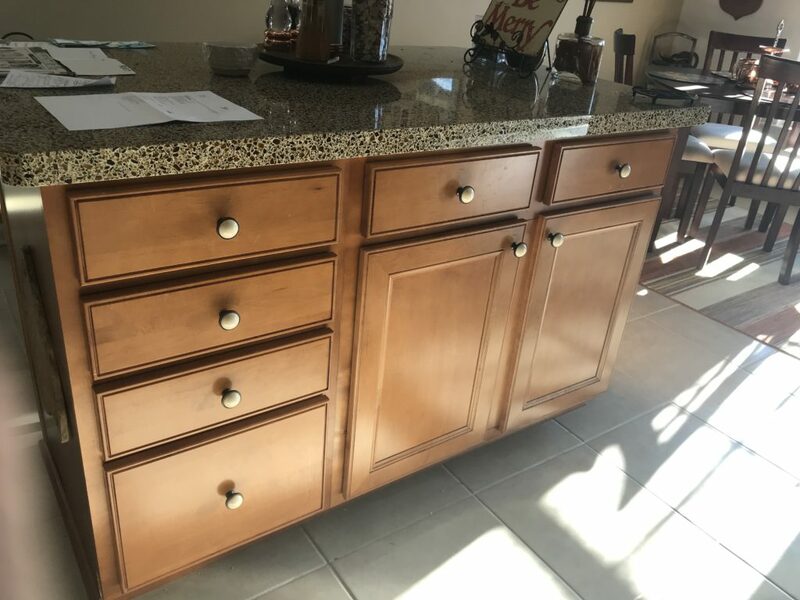 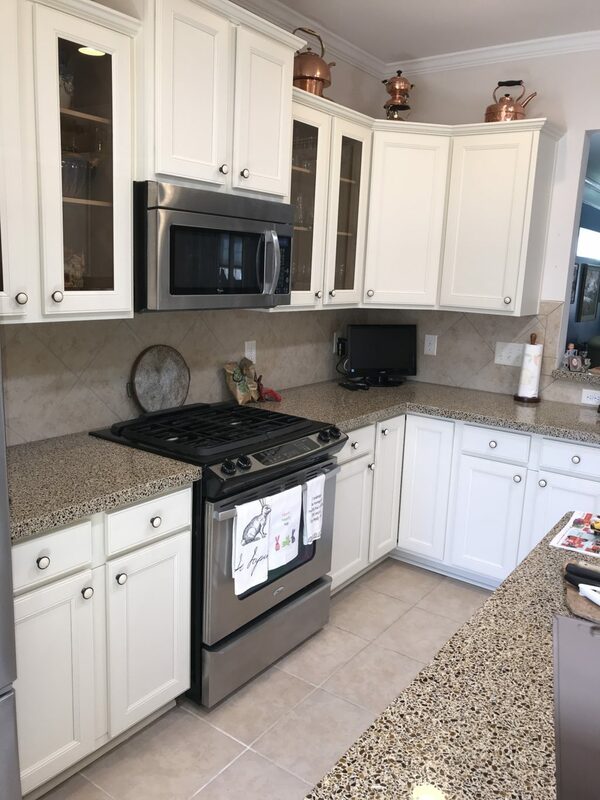 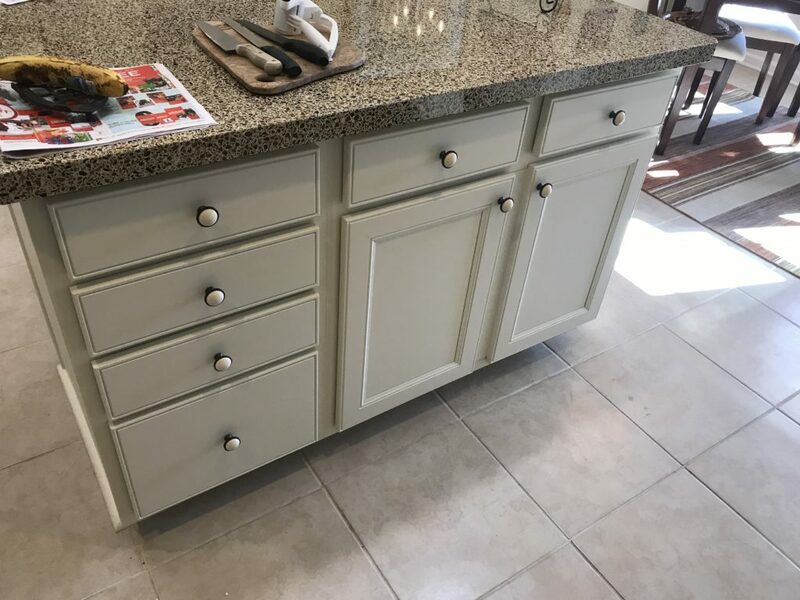 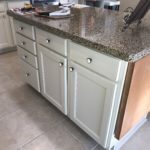 The warm color blended with not only the backsplash and countertop, but the antique white knobs as well.